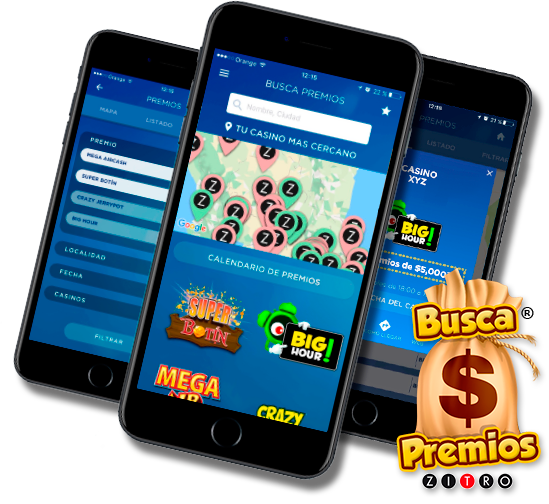 Busca Premios, aka Prize search, is an application unique to the world of casino games. The app empowers players by letting them know what promotions are in motion. Because of this players will now know which promotions are being carried out on Zitro machines within their country’s casinos and gaming halls. Now, the stakes are higher. Winning at Zitro’s casino games just became more exciting. The application uses a geolocation service that allows players to identify the casinos closest to their location, view the day and time of the promotions, and gauge the sizes of each prize. You will now get to compare and choose where you’d like to play your casino games! With Busca Premios you won’t miss out on any prizes!